This was my first full day fishing at Loganlea this season – The weather was sunny with a light breeze so I decided to start at the burn end with intermediate line and a bright lure. After about 20 mins with no interest – I changed to a black lure and immediately started to get takes. I picked up 2 good fish before Mick Mulgrew arrived and the action continued at pace until lunch time when we were both up to double figures. The fish took a combination of diawl bachs and lures. In the afternoon we tried the other bank and had continued success. I left about 3pm after taking and releasing about 15 fish. 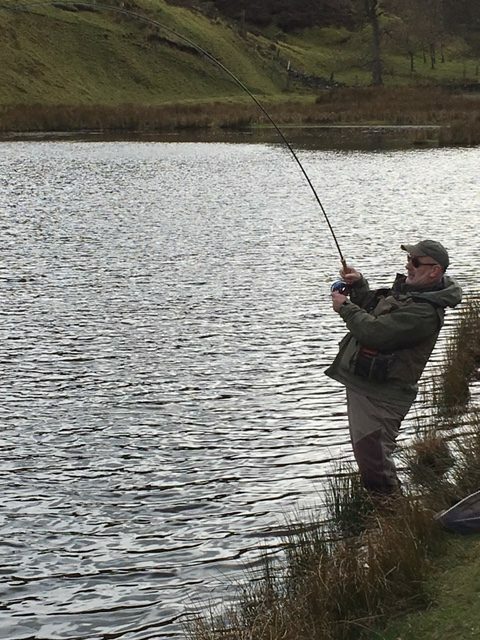 Mick continued to catch on buzzers as I left ….. One of the best days – plenty action, great scenery and surroundings – Give it a try……..